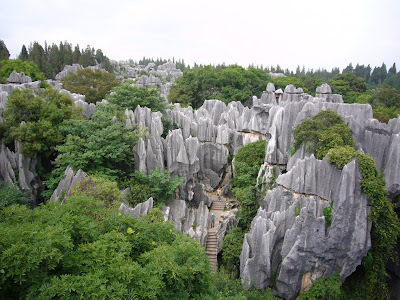 eD@HoMe: Let's travel to Yunnan! 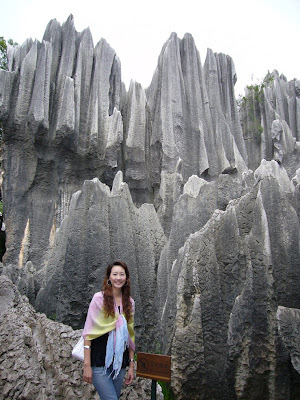 On 18th September 1981, China post issued a set of 5 stamps featuring the gorgeous Stone Forest. 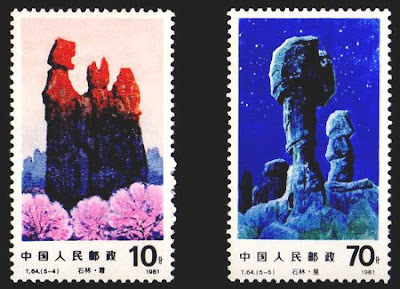 These stamps were titled Fog, Fall, Lake, Colorful Clouds and Stars respectively. 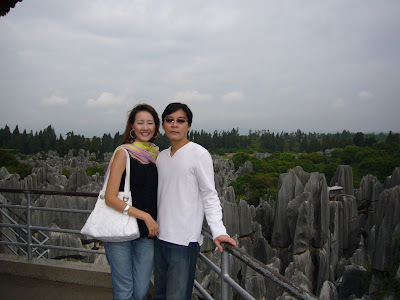 I have visited the Stone Forest in summer 2007 and it was a great experience. 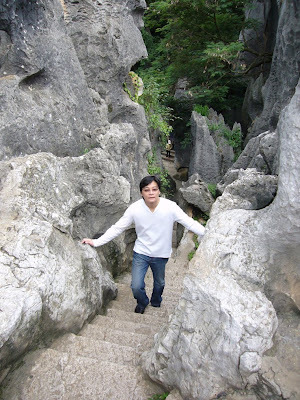 Here are a few photos to share with you. 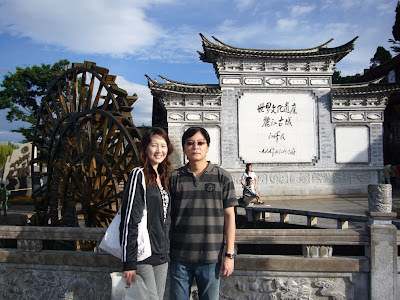 Our next stop is the Ancient Town of Lijiang (丽江古城), located in Lijiang City, Yunan, China. 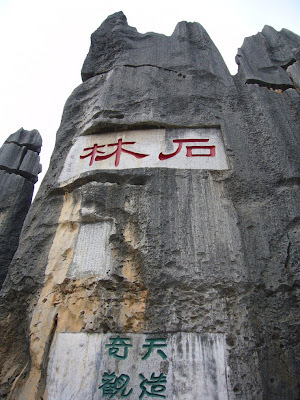 It is found in Dayan Town, a largely Naxi settlement first built during the Southern Song Dynasty some eight centuries ago. 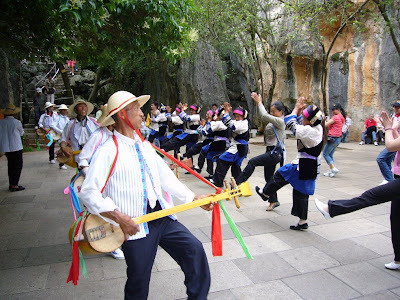 In 1997, the UNESCO put Lijiang on a list of the world major cultural heritages. 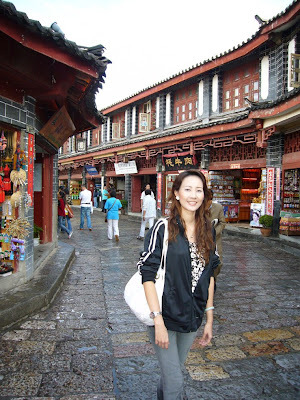 With Sifang Street at the core, the entire city spreads out in all direction, and is crisscrossed by a labyrinth of flagged streets and alleyways. Most of the dwellings, scattered at the foot of a mountain or by the rivers which flow through every nook and corner of the city, are brick-and-tile structures with carved doors and painted windows. 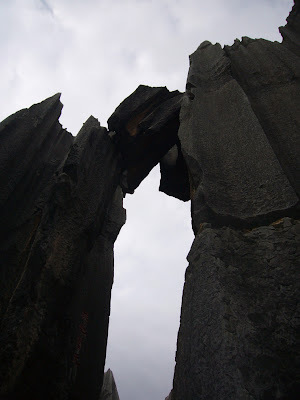 Traffic across the river is facilitated by a large number of tiny stone bridges. 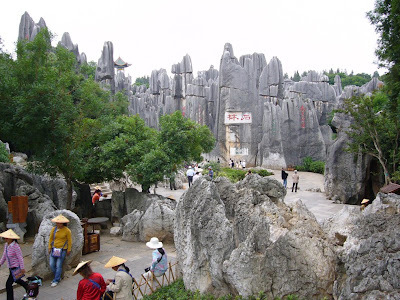 The entire city is evocative of a town south of the Yangtze River. 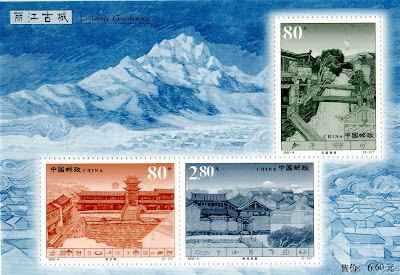 In 2002, China post issued a set of stamps to commemorate this beautiful ancient town. 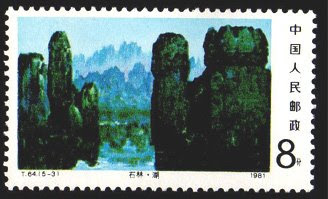 These stamps depict Sifang Street (80fen), A clear stream in the Ancient City (80fen) and Folk house of Naxi Nationality (280fen). 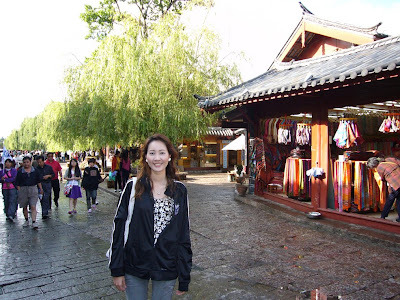 I will end our tour here by sharing with you some photos from my visit to this ancient town. See you again! 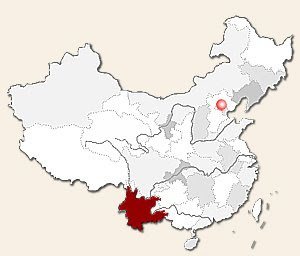 再见!